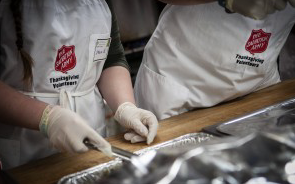 Salvation Army Lynchburg works to provide food, lodging, clothing, financial assistance and other necessities to those suffering in our community, therefore extending hope where there is none. As an emergency shelter, they have served those who have been affected by flooding, wind damage and other disasters that have happened in the area. They also have a summer camp at no cost to parents for families that qualify. Including QMPC financial support, fresh produce from the QMPC community garden and the annual Angel tree done by our youth, each year we participate in the Red Kettle bell ringing campaign.